This is a list of the community groups using our premises. Unless included below, please contact the Bookings Secretary Val Worrell through the Church Office if you require any details. You can also book rooms for your community group. The Beamsley Project is an independent charity with over 15 years of experience in providing tailored, self-catering holiday accommodation in the Yorkshire Dales. They provide accommodation for individuals with disabilities, their families and groups with disabilities. The Friends of Beamsley is a group of people who help by raising funds. The Friends organise concerts, film shows, Open Days and other events. They also hold store collections in our local supermarkets. Full details can be found on the Beamsley Project website. Ilkley Yoga Club has been in existence for over 35 years in the town centre, welcoming beginners and experienced people alike. We meet weekly on Thursdays from 7:30 to 9:00pm in Christchurch Riddings Hall, Riddings Road. We practise Hatha yoga, which involves holding various postures, short flowing sequences and balances, designed to stretch and strengthen the muscles, improve balance and posture, and improve the functioning of the body. We also use a variety of breathing exercises and ways of relaxing in order to enhance mindfulness and improve well-being. You don't have to be flexible or athletic to begin yoga. All postures, etc. are carefully taught and there are easier alternatives if preferred. However, sports enthusiasts will find yoga complements their other activities. Suggestions for future sessions are welcomed from our members, who range from teenagers to retired people. We pay weekly, so if you have to miss a session you are not out of pocket. Visiting friends and relatives may also attend too. Currently we charge £6 per session to cover the cost of room hire and a teacher. If you would like to know more please phone our tutor Margaret Scott on 01943 431248 or 07914 700538. Hi, we're Mel and Lisa and we're delighted to now be at the helm of running Jo Jingles Ilkley. Jo Jingles has been helping to encourage and support children's development since 1995 and now has over 100 franchisees working with 20 000 children throughout the UK and Ireland every week! 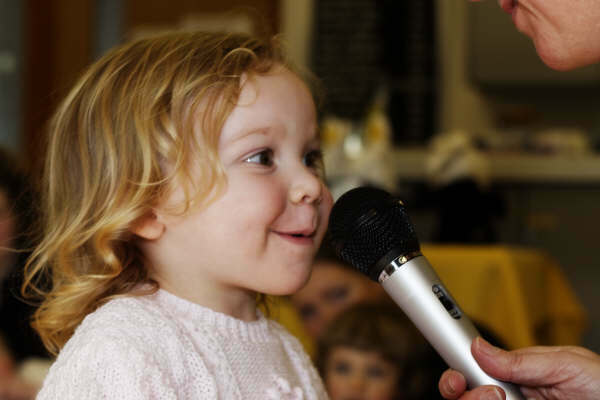 Jo Jingles is the UK's leading musical provider and our age specific classes are fun and help to introduce routine and structure into a child's life. The classes can also help develop your child's language and listening skills, imagination, memory skills, physical development and social skills and confidence! Trained Jo Jingles class teachers run our classes and grown-ups can relax in the knowledge that their child is in a safe and fun environment where they can spend some quality time together. 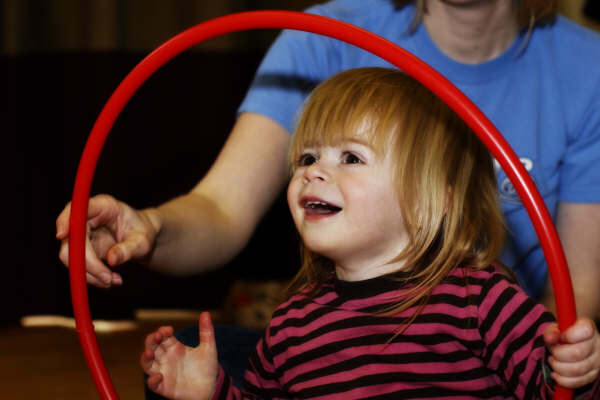 Rhythm Time offers fun, educational music lessons for babies and toddlers and are held at Christchurch on Wednesday mornings. Babies are innately musical. They can absorb sounds from before they are born. Music engages all areas of the brain, and therefore can benefit babies in ways such as: memory, concentration and recall; speech and language development; internalising rhythm and pattern; personal response to music; enhancing social interaction; fine and gross motor skills, balance and coordination. Rhythm Time classes are fundamental in creating a climate where these skills can be learned and developed. A large part of the baby class is about bonding and sharing music activities together. In the toddler class these skills are continued, as well as encouraging independence, confidence and creativity. The classes are fast-paced and well-structured, and last for 30 minutes which is the maximum time a child of this age can concentrate for. Baby classes start from birth, where we do lots of activities to help with the early development of your baby through music. These include songs, rhymes, listening skills, exploration of percussion instruments, eye tracking, exercise and relaxation. They move to the toddler class around 15 months, where they explore more fully musical concepts in a fun way, encouraging coordination, confidence, pitch and rhythm. The adult stays with the child, as we encourage lots of interaction between child and parent. Toddler classes Wednesday 10:40am and 11:20am. To find out more about our award-winning classes call Lynne O’Malley on 07789 895894 or check out the Rhythm Time website. Based in Ilkley, the Society has as its recording area the whole of Wharfedale, Littondale and the valley of the Washburn. With over 500 members, the Society runs winter lectures, carries out conservation work, advises landowners on conservation management, manages its own reserves and arranges walks and visits to sites of natural history interest. Strongly committed to conservation of the local natural heritage, the Society has been maintaining natural history records within its area since its inception. This lengthy run of data assists in monitoring wildlife sites, and providing credible comment and criticism where development is proposed. The winter evening illustrated talks are very popular. They cover a wide range of subjects from geology to marine life and botany to conservation. While many deal with topics of local concern, others range across the globe. During the summer the recorders, and guest specialists, lead numerous walks to explore our area. These are attended by large numbers of friendly and helpful members who are happy to welcome new faces and to share their own knowledge. Walks may have wild flower, geological, fungus foray or birdwatching themes. More details are at http://www.wharfedale-nats.org.uk.